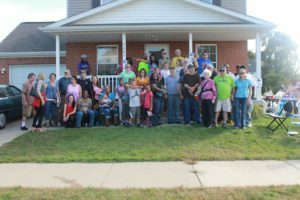 More than 60 people showed support for Charmonique at a Rent Party in September. On January 21, 2015, the Ferndale Housing Commission voted to CHANGE THEIR POLICY which stated they wouldn’t give a housing voucher to anyone attempting to rent a home with a boarded-up house within three blocks. This effectively removed Detroit as a housing option, and prevented people who want to live in Detroit from doing so. They also returned housing vouchers to Ms. Charmonique Hopkins and to Ms. Teresa Benton and made Ms. Hopkins “whole” by paying her back rent and utility bills. This means Ms. Hopkins and her family will remain in their home near Livernois and Fenkell. It means Ms. Benton and her family can return to the home they had been forced to vacate on Prevost in Detroit. This is an important victory for these women and for the broader community. 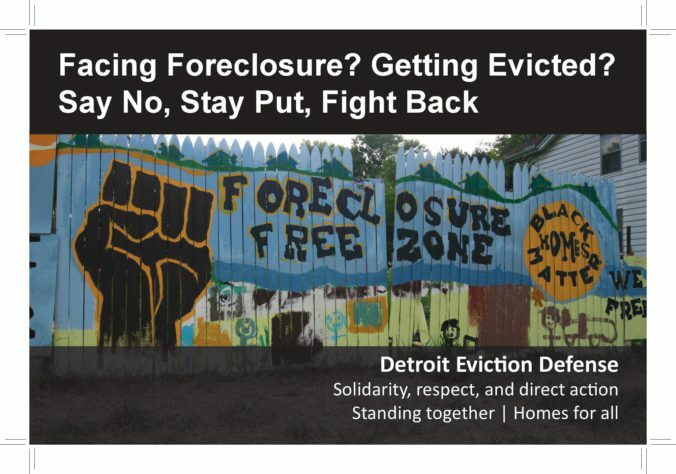 This victory was won due to the efforts of both Ms. Hopkins and Ms. Benton and the solidarity and direct action of Detroit Eviction Defense and Detroit Tenant Defense. Both spoke eloquently about the struggles they went through, including stress and homelessness, and the impact on their families caused by the racist actions of Ferndale Housing Commission. See Oakland County 115 write-up on the victory here. Daryl & Lula Burke saved their home!